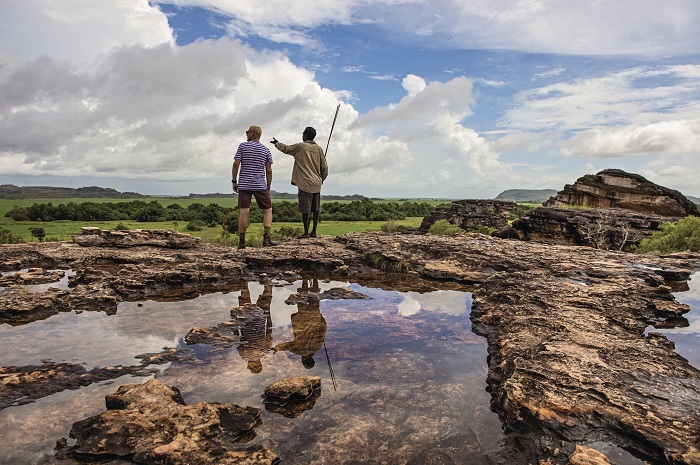 Discover the natural beauty, incredible wildlife, and mesmerising indigenous history of the Kakadu and Litchfield National Parks on this three-day tour. You’ll marvel at stunning views, cool off in pretty plunge pools, and learn about the ancient art that decorates the region’s major landmarks. 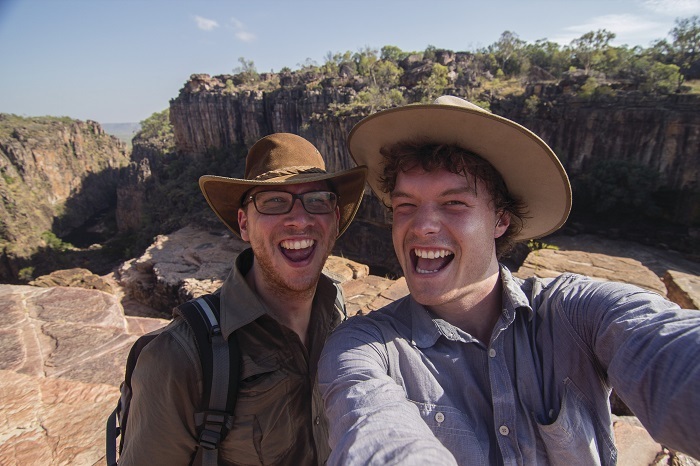 This tour is only available during the Top End dry season (May – October). 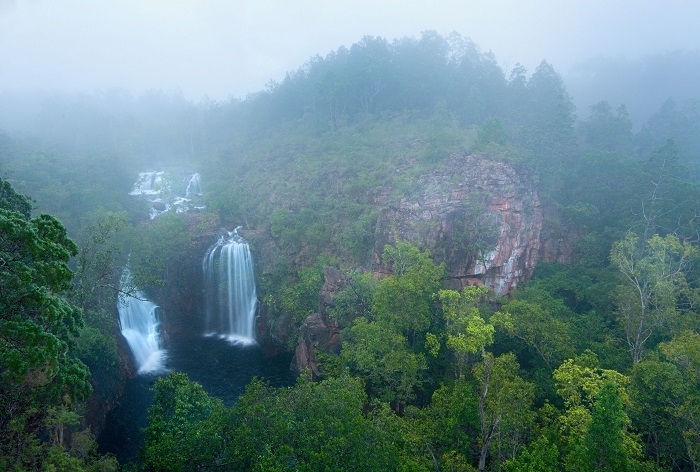 If you are interested in travelling November – April, check out our wet season 3 Day Kakadu & Litchfield Tour. 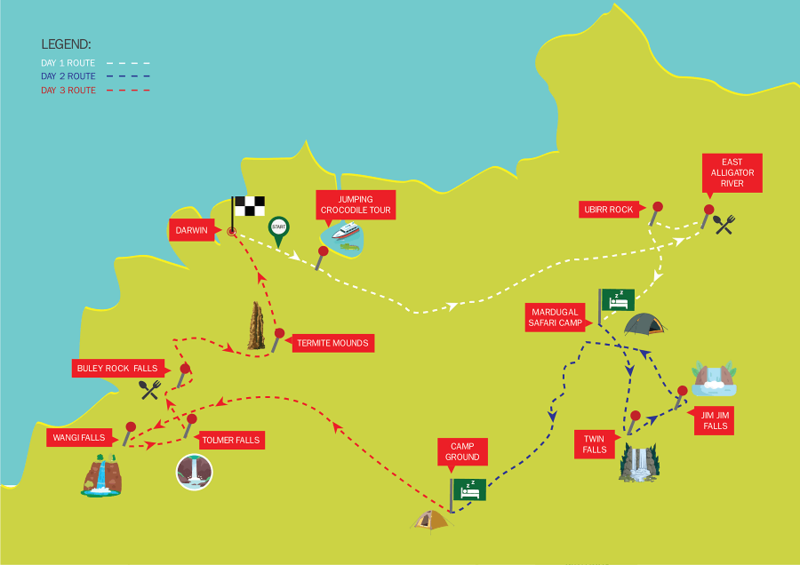 Comfortable walking shoes, 1 litre water bottle, insect repellent, sunscreen, weather appropriate clothing (including a jacket and a long sleeved cotton shirt), sleeping bag, camp pillow / small cushion, swimmers, hat and a torch or headlight. We’ll start things off with a bang with a jumping crocodile cruise on Corroborree Billabong. Don’t forget your camera as there will be plenty of photo opportunities with these prehistoric creatures. Then it’s on to the Kakadu National Park where we’ll have lunch on the banks of the East Alligator River. In the afternoon, we’ll explore the ancient art history of the area at Nourlangie Rock and look out over the stunning views of the sweeping landscape that surrounds it. To end the day, we’ll tuck into a delicious Aussie BBQ where you can try crocodile, buffalo and kangaroo meats. Then we will bed down in our exclusive safari camp at Garnamarr. It’s an early start as we head out to Twin Falls for a walk through the lush scenery and past crystal clear waterfall pools. Refresh yourself with a swim in one of the pristine pools before we hop back into the 4WD and head to Jim Jim Falls. After a short walk, you can enjoy another swim in the stunning plunge pool surrounded by towering sandstone cliffs. The night will be spent camping near Litchfield. It’s another early start on the last day as we make our way to Litchfield National Park. 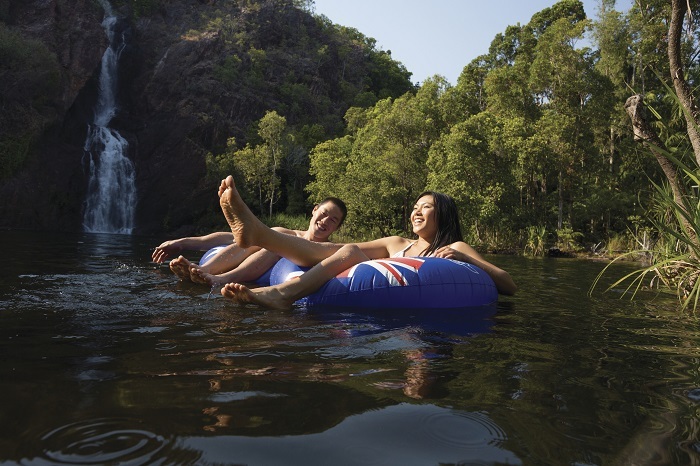 We’ll stop off at Wangi Falls on the way to cool off in the pools and we’ll visit Tolmer Falls, where you can soak up stunning views of the national park. Afterwards we will enjoy a picnic lunch before we head to the spectacular Florence Falls for our last swim of the tour. 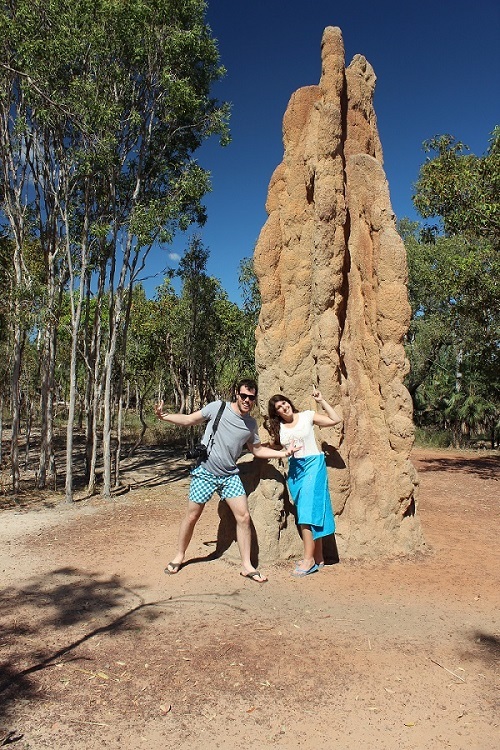 On the way back to Darwin, we’ll stop off at the giant termite mounds so you can see nature at its finest.